The door to the machine closed so smoothly and rapidly that Joey didn’t even have time to react. It was surprising that it didn’t go dark despite the lack of a visible light source. Even more intriguing was that it frightened him. “Elsa?” He didn’t want her to worry even though he didn’t know how he was going to get out. His voice didn’t seem to make any sound other than inside his own head. There was no echo like there should be inside a metallic cylinder. He banged on the side with his fist. That also made no noise. It was like being trapped in a vacuum except he could breathe. The button he’d pushed wasn’t there any more. Now he grew concerned. Joey pounded against the wall with no sound from either side of the machine’s wall. It had to be made of some sound-dampening material, but what? The sounds of rustling leaves stirred all around him. Even a mild breeze started. The sound and the breeze both increased in intensity. Now was a fine time to panic! Slamming against the door did no good. In fact it just plain hurt. Tendrils of white shot up from the floor and wrapped up his feet then his legs. He tried to tear them off with no success. Breath came in short gasps. This can’t be happening. This is a machine! What is it doing to me? Why is it doing this? It shouldn’t even be working it’s so old. God what’s happening! The white tendrils wrapped his arms to his body snugly, but not uncomfortable. Joey tried to take a deep breath before his face was covered over, but wasn’t successful as it spun its cocoon over his head. He was, however, still able to breathe. He relaxed slightly, but was afraid he might have wet himself. What would it matter? Maybe this was a death machine and Elsa was just waiting outside for him to be dead. There was a sensation of the floor falling away and everything went dark. By the warm feeling between his legs, Joey was now certain of what he’d done. The darkness was bitterly cold; almost unbearably cold. He shivered and his teeth chattered slightly. Was this what it felt like to die? You wet yourself and then everything goes dark? But that couldn’t be right. Elsa said that her husband and son disappeared inside the machine. Where did they end up? Was he suddenly going to end up on the moon or something? That would be pretty bad. He’d last for about ten seconds before the freezing cold stiffened his body to nearly absolute zero. What a way to go. What a stupid thing to do. Pushing that button was not a smart thing to do. What was I thinking? Light crashed into him brutally. This sure wasn’t the near death experience he’d heard about. Those were supposed to be gentle and serene. This was intense and painful. This wasn’t how it was supposed to be at all. If he was dying, why was he in pain? The white tendrils that had wrapped him like a mummy were gone now. The floor was a metal grate with a fine, mesh pattern on it. Why am I looking at the floor? Joey tried to lift his head, but it felt as if it were full of water and he bobbed from side to side each time he tried to move. What a horrible feeling. If he hadn’t just crashed his bike this might not feel so awful, but deep down, he knew it would. Yes. It would hurt. A pair of black boots stood on the grating in front of him. The voice was strong and commanding. Was it coming from the person wearing the boots? The person in the boots leaned down. His face was blurry. It had brown hair and a brown caterpillar moustache. If anything, the smile reassured Joey. There was a long silence. The man, his name must be Vic, helped Joey to his feet. It was difficult getting to his feet. It was rather like being a half-inflated blow-up toy. No matter how hard he tried, he couldn’t keep his feet firmly planted. The female voice was closer than the speaker but still fuzzy. Joey turned his head and looked down a narrow passageway. Everything was steel gray and dull in appearance. Everything that was except that soft shape in the middle of the passageway. June grunted and put her arm around Joey’s waist. Vic put Joey’s arm around June’s shoulders. And Vic disappeared. The sudden loss of Vic meant he had to put all his weight on June. She was softer than Vic and Joey didn’t like being a burden on her. It took away all his masculinity. He tried to stand up. Joey fought with his brain. He did want to know. He had to know. He obviously wasn’t in Elsa’s garage anymore. That machine still worked. It had transported him somewhere and two people were here at least, Vic and June. Could Vic be Victor, Elsa’s son? That wasn’t possible. Vic would be in his fifties at least. This man’s face, although blurry and hard to make out, couldn’t have been more than twenty five or thirty. Had he? He’d had tea with Elsa and he’d left home before he’d had dinner. Suddenly he realized how hungry he was. He shook his head. Joey would have blushed if he had control over his body but he didn’t. He could still feel the cold wetness in his pants. The doorway into the kitchen was low and Joey lolled his head forward, it wanted to loll to the side, and accidentally nuzzled June’s neck. Her hair was strawberry-blonde and felt nice on his face. She smelled good, but something reminded Joey of his mother. She dumped him into a seat. His body tensed in pain and his eyes came back into focus for a moment then blurred again. With his focused vision he got a brief glimpse of the kitchen. It looked like two long picnic tables constructed of the same metal as the walls but with some padding. There were lines along one wall that Joey thought might be cabinets and when June opened one, he was proud of himself for figuring that out. June sighed, slammed the cabinet closed, and sat down next to Joey. Dampening field? Hyperspace? Those things weren’t real yet she spoke as if they were reality. Why did he push that button? Joey felt his insides turn outside. If he had eaten anything it would have surely come up. There was a brief sensation of no movement and weightlessness before the lurching sensation happened again. 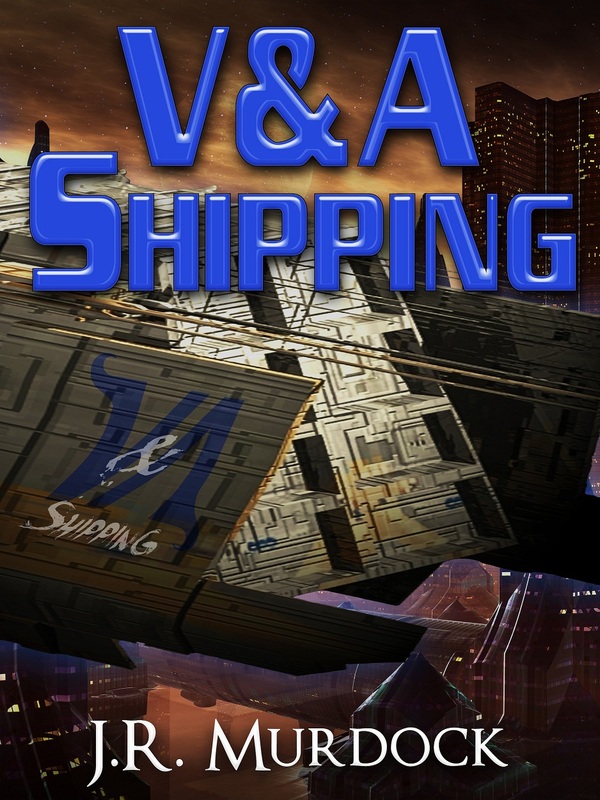 Posted on January 28, 2013, in V&A Shipping and tagged chapter, read along, v&A shipping. Bookmark the permalink. Leave a comment.